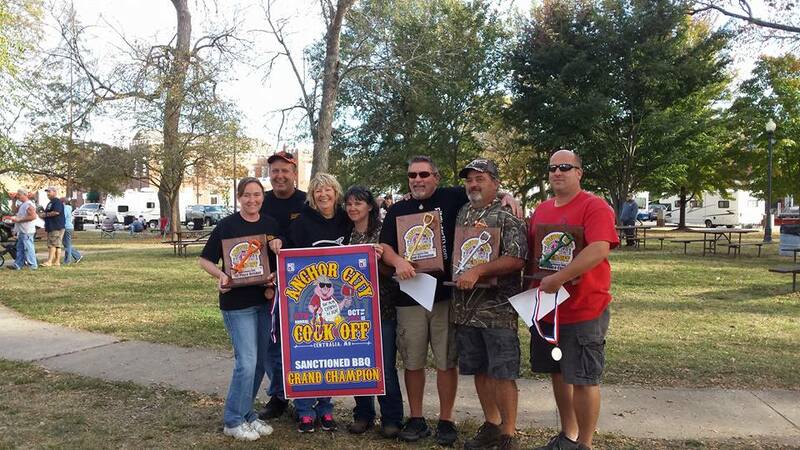 The Anchor City Cook Off returns on October 12-13, 2018 in beautiful downtown Centralia, Missouri. Mark your calendars for the Anchor City Cook Off! Enjoy great food from vendors and a great fall day. This year we will have many returning teams and individuals all trying to win this KCBS Sanctioned State Championship BBQ Contest . If eating great barbecue and enjoying homemade desserts is more to your liking then we invite you to spend a great fall afternoon in Missouri smelling great barbecue, enjoying many different types and of course, having a piece of homemade pie to top off the day. This is a favorite regional event here in central Missouri and it's worth the drive from anywhere in the state. Come join us and bring an appetite! ​Financial assistance for this event has been provided by the Missouri Arts Council, a state agency.